…special thanks to IWS for the “outstanding professionalism” and “exceptional focus and relentless goal to achieve the highest of quality”. 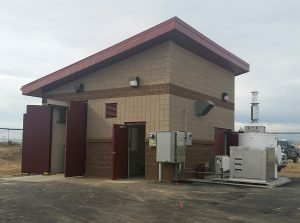 DESCRIPTION: Integrated Water Services, Inc. (IWS) teamed with Mortenson Construction and the City and County of Denver Wastewater Management Division (WMD) to construct a $1.7mm lift station for the Park Creek Metropolitan District Stapleton Redevelopment. The Section 10 lift station will serve the Beeler Park development that is slated to accommodate approximately 1,200 dwelling units. The 22-foot deep lift station is capable of running all three of its 345 hp submersible pumps simultaneously with the peak capacity of conveying 3.5 million gallons of wastewater (2,460 gallons/minute) to a wastewater treatment plant. 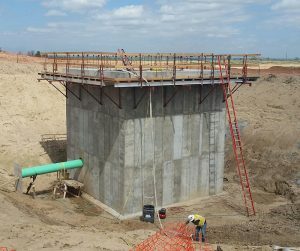 The lift station wet well construction required 164 cubic yards of concrete to complete. 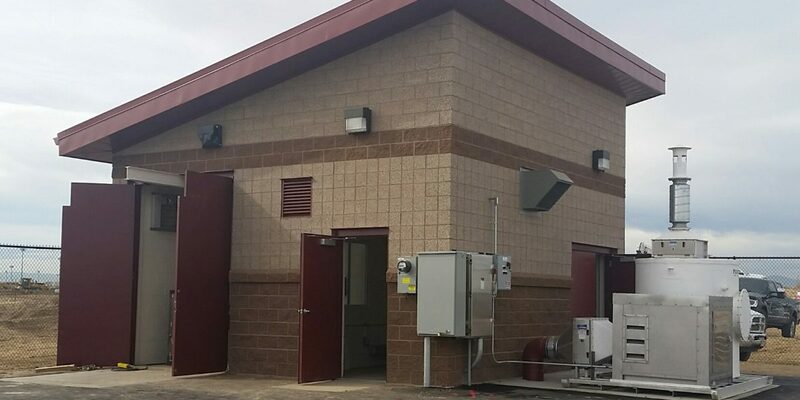 In addition to the below-grade lift station, the project also included an attractive masonry veneer building over the top of the wet well. The 1995 opening of the Denver International Airport led to the closure of the Stapleton International Airport. With the growing population and newly vacated airport, community members saw an opportunity for a large urban redevelopment. 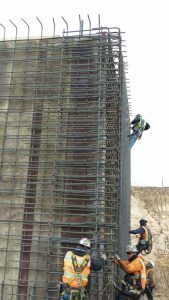 The lift station will covey the wastewater from the new development to a Denver Metro wastewater plant. 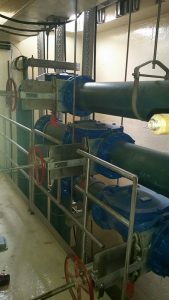 The construction of the Section 10 lift station was considered a major success and contribution to water sustainability in the Stapleton area. Scott Ramich (Master Tradesman) of the City and County of Denver, Public Works, Wastewater Management Division extended a special thanks to IWS for the “outstanding professionalism” and “exceptional focus and relentless goal to achieve the highest of quality”.